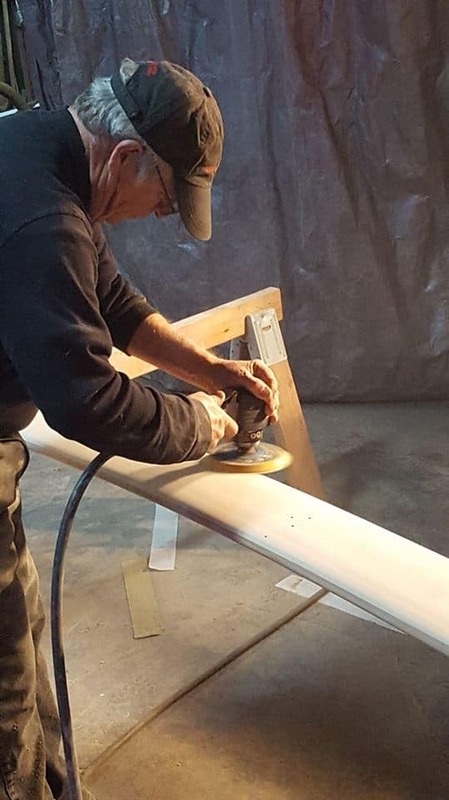 4LIYC sailor Lars Barber sanding Doug Kolner’s DN plank. Dust is being made and runners sharpened in preparation for the first unofficial fun DN regatta of the season, the Western Challenge. Stay tuned to the Minnesota Ice Sailing Association website for the latest. Battle Lake has been chosen as the site. Look for final confirmation on Wednesday. The ISA regatta was sailed at Battle Lake 2 years ago and the town was very welcoming to all the sailors.